This 5 Week Beginner program is for women who have little or no experience on a mountain bike and would like to learn the fundamentals of riding in a fun, safe, professional, and supportive environment. 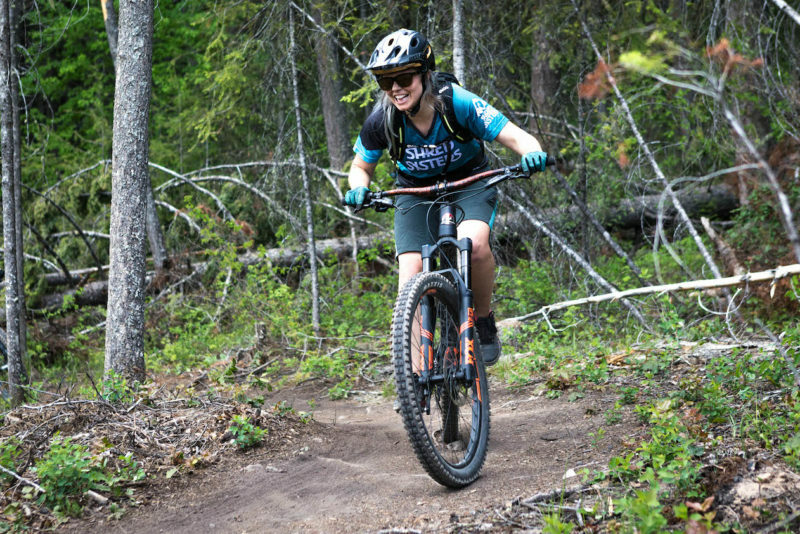 This five week Beginner program is for women who have little or no experience on a mountain bike and would like to learn the fundamentals of riding in a fun, safe, professional, and supportive environment. This program is offered one evening per week, for five consecutive weeks. Each week we will focus on a different skill. The lesson will start with an hour of skill development followed by a trail ride to practice what we’ve learned. This weekly program is the perfect way to have an overview of mountain biking, and to improve your skills, to be more confident on your bike, and have fun with your new Shred Sisters friends! I had a super fun group with the best possible instructor. Becca, what a rock star! She helped me get up those hills and feel more confident on cornering. I can also go up a curb or over a small log without getting off my bike now 👌🏻 Looking forward to the intermediate one next year.